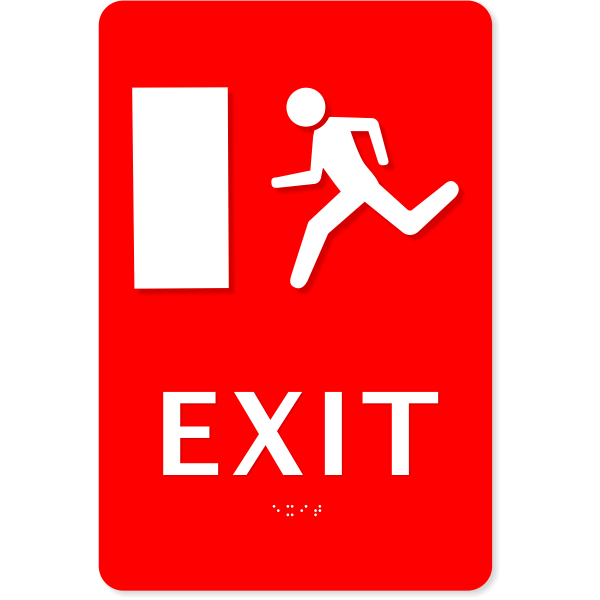 This EXIT sign features a stick figure running toward a doorway above the word EXIT. ADA compliant braille is written beneath the word EXIT. Several color combinations available. As with all of our custom signs, this one is made in the USA.